This local trade is loaded with options and is in great condition. 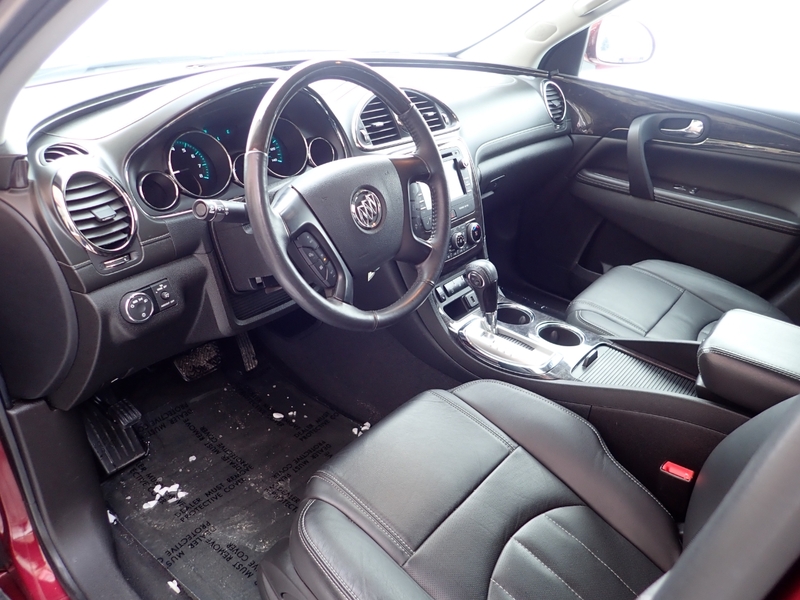 This Enclave has Heated Leather Seats, 7 Passenger Seating, Side Blind Zone Alert, a Heated Steering Wheel, Overhead DVD, Touch Screen with Back up Camera, Power Rear Liftgate, 19" Machined Aluminum Wheels, and Power Options. This Enclave has remaining limited factory bumper to bumper warranty and is ready to go. Stop in and take this one for a drive!